We are a community of professional writers who appreciate the world of entrepreneurship. 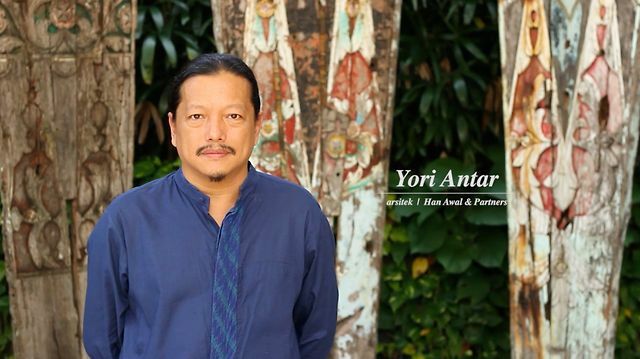 The veteran architect Yori Antar shares his confidence in the high feasibility to mix the elements of Indonesia’s rich cultures in building a polo club. 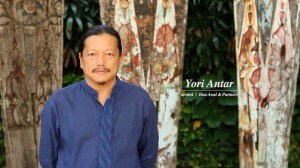 As one of Indonesia’s prominent senior architects, Yori believes in the wisdom of Indonesia’s architecture. “Indonesian [traditional] architectures can stand the test of time, built by the locals using the available materials, but still giving high respect to the nature from which they are taken. If you want to look for a green and sustainable architecture, look no further. Our traditional buildings are already built with sustainable elements,” he says with conviction. And when it comes to designing an Indonesian polo estate—a job he has been entrusted with by the estate’s partner and his fast friend, Daya Zakir, Yori has no qualm whatsoever to incorporate bits and pieces of Indonesia’s architectural richness into the design. Mr. Zakir has given him the freedom to design a polo estate that screams Indonesia to anyone who comes to the club even though he asks Yori to include an assador in the estate—Argentinean barbecue typically found in a polo club house. Yori sees this as a challenge he is ready to take up. He also believes Indonesia is a nation of craftsmen, whose people are very handy and creative with their hands, and they are very open to other culture. So, incorporating any certain touch to a “traditional” design is possible. And what about the possibility of polo developing in Indonesia?“Horse riding is already part of Indonesian culture, especially in eastern Indonesia. So, there is a big potential,” asserts Yori Antar, whose passion for cultures and traditions has taken him to the Himalayas and other off-the-beaten-track destinations across the globe. By Gandi Faisal. Published in Polo Indonesia Magazine, first edition 2013.